The Center for Science in the Public Interest has proclaimed today “Food Day” to to raise awareness of raising food prices, world hunger the declining quality of the American diet. Unfortunately, the campaign downplays the importance of modern agriculture and unfairly criticizes the way of life of many food producers. You may have heard that October 24 has been designated Food Day. But the thing is, to farmers and ranchers, Food Day is every day. I feel honored to be among the less than two percent of Americans who help stock your local supermarket. I’m here to tell you that farming is not just a business; it is a way of life, no matter if you have ten cows or 10,000. Farming is rewarding work, but it is also tiring, dirty, and sometimes heartbreaking. You don’t have to look further than this summer’s historic drought in Texas or the devastating floods in the Northeast to see that it takes a special sort of resiliency to put up with the uncertainty of Mother Nature. Modern food production relies on a mix of technology and tradition. There is a reason why agriculture looks the way it does today. No, our industry is not perfect. But time and time again, American agriculture has shown a commitment to continuous improvement- be it for food safety or environmental stewardship. And as a veterinarian, I can tell you today’s farmers are able to provide better care for their animals than past generations ever could. Although most of us are fortunate to spend just a small percent of our incomes on food, we shouldn’t forget that one in eight Americans has trouble getting enough to eat. The demand for safe, affordable food will only increase as our population grows worldwide – but I am confident that American farmers will rise to this challenge, if we let them. Let’s use Food Day to celebrate the diversity of American agriculture. While we should enjoy and appreciate the taste of fresh seasonal products from the local farmers market, we can’t afford to deny the importance of large scale producers who provide the bulk of what we rely on in the grocery store. In many ways, agriculture is the backbone of our nation. We must protect it. On October 24, take this opportunity to learn more about your food straight from the people who understand how it is produced best – farmers and ranchers. 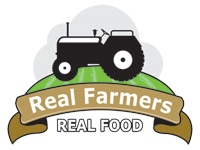 Visit the Real Farmers, Real Food Web site for more information, including a message from Miss America 2011 Teresa Scanlan, an agriculture advocate, and to sign a petition in support of agriculture’s diversity and consumer choice.